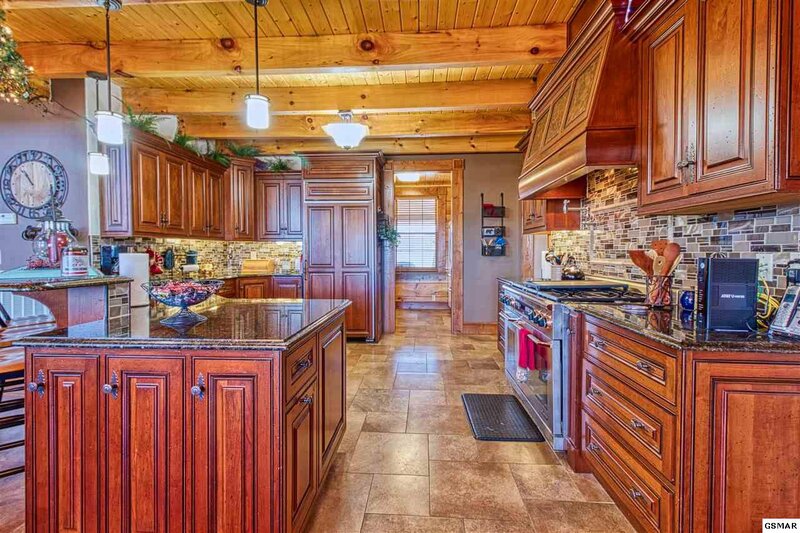 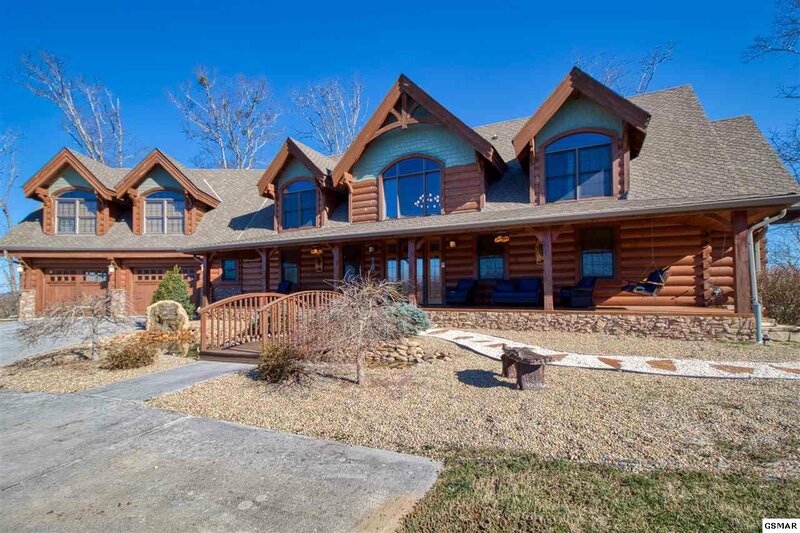 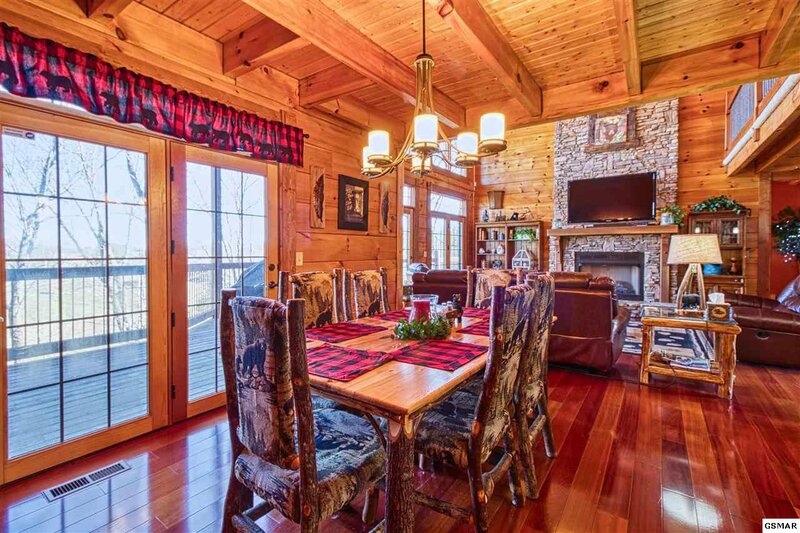 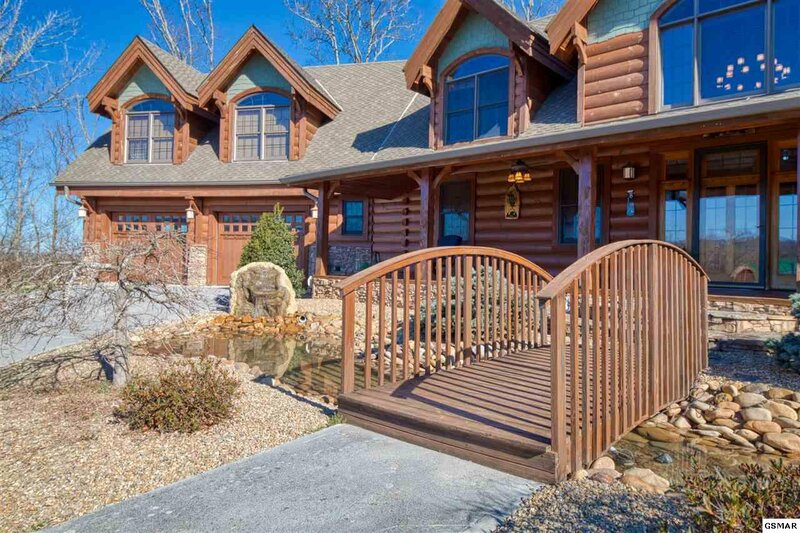 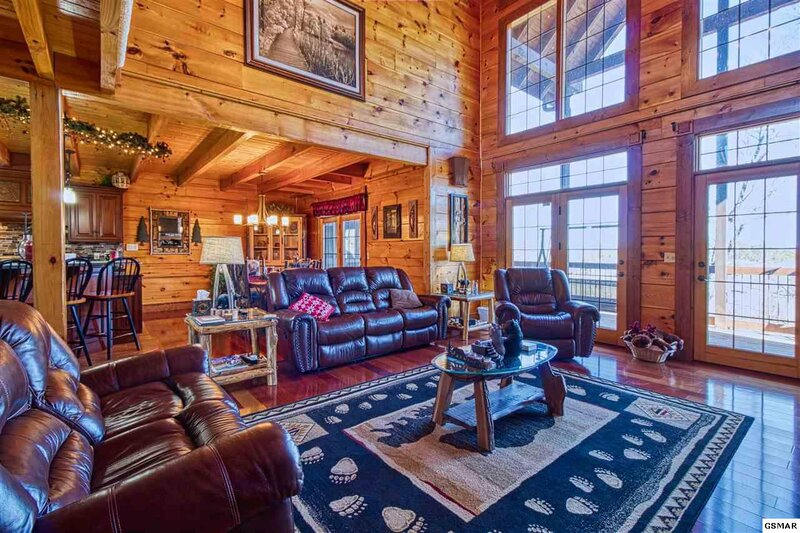 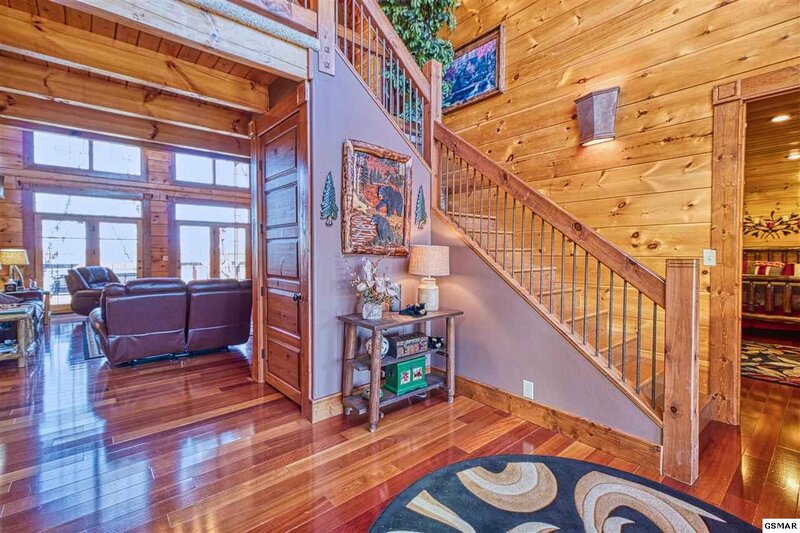 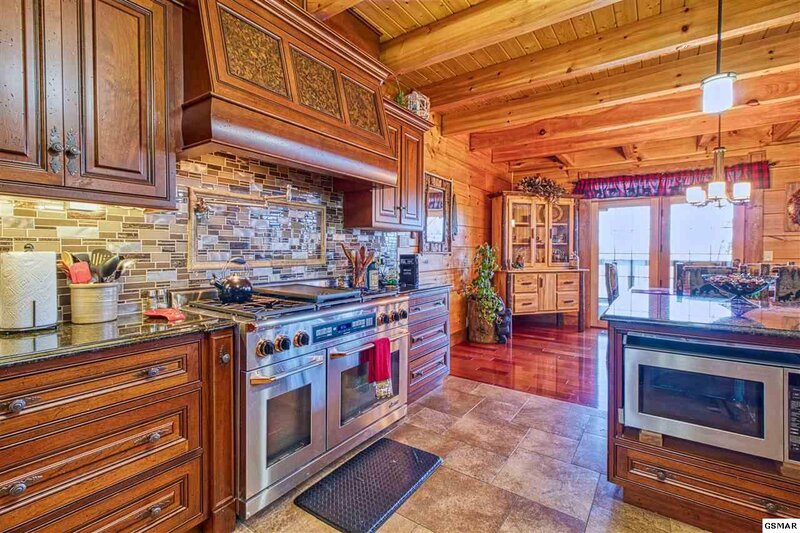 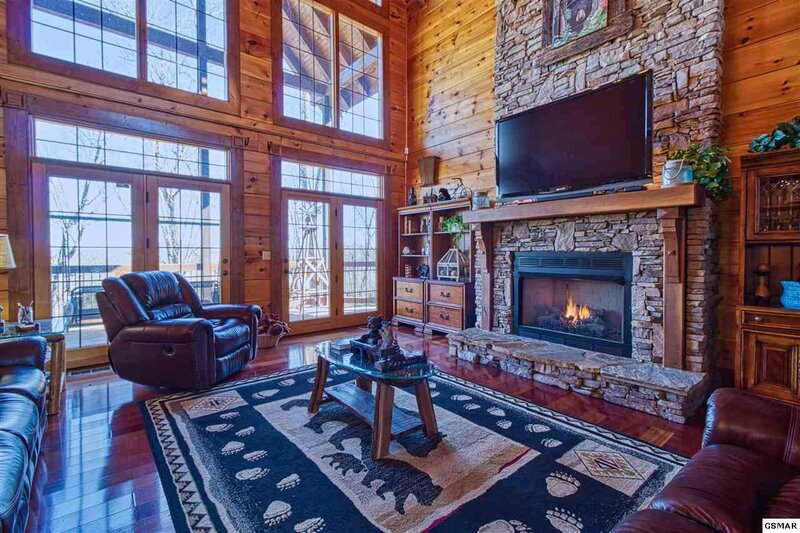 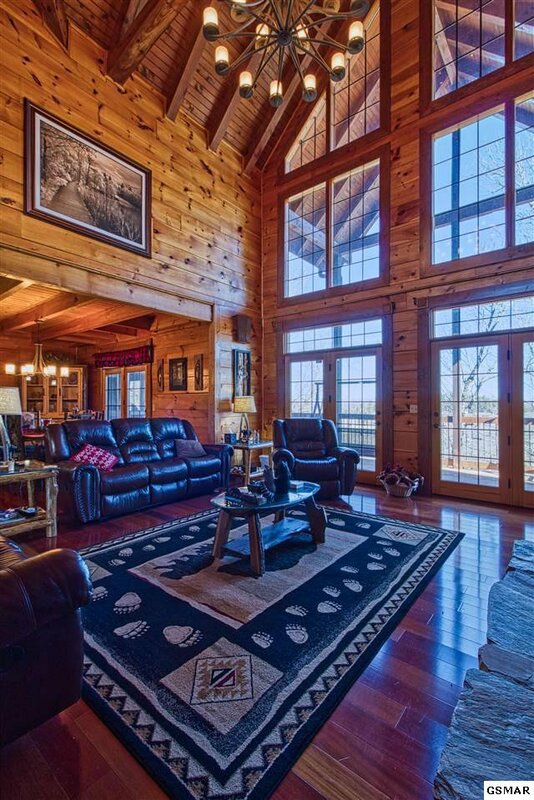 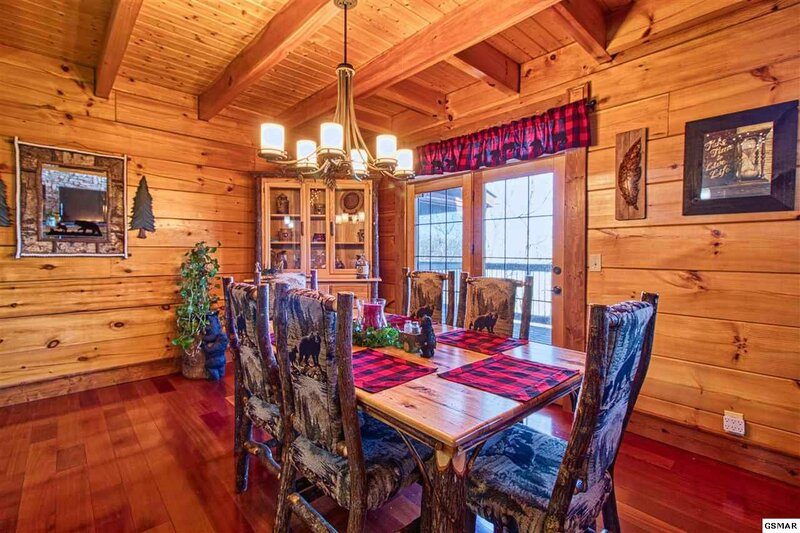 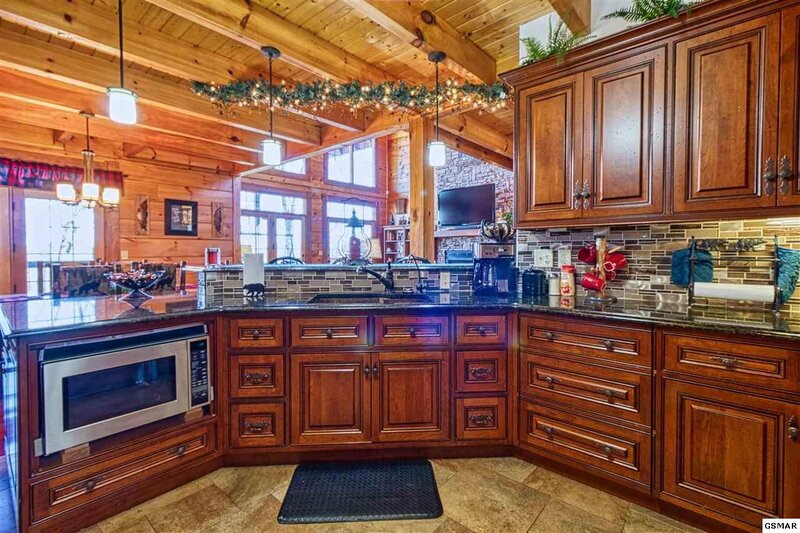 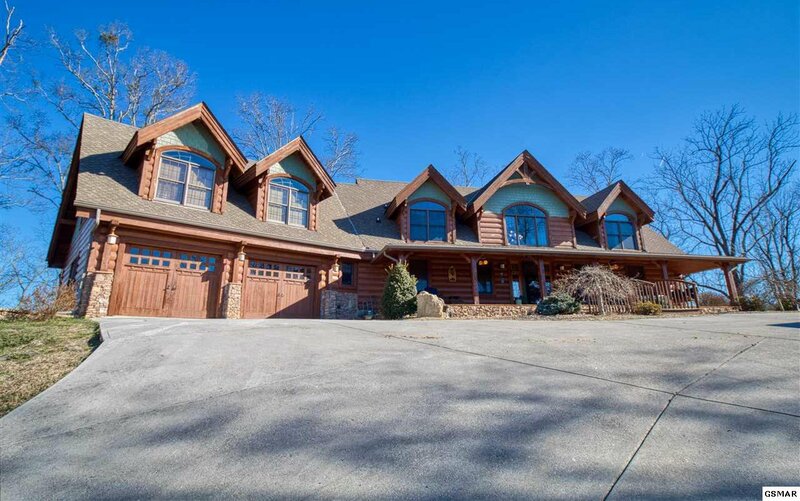 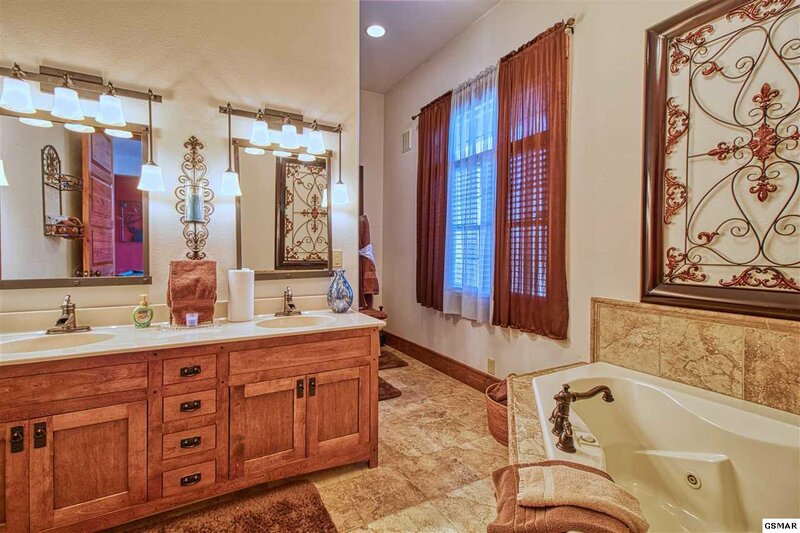 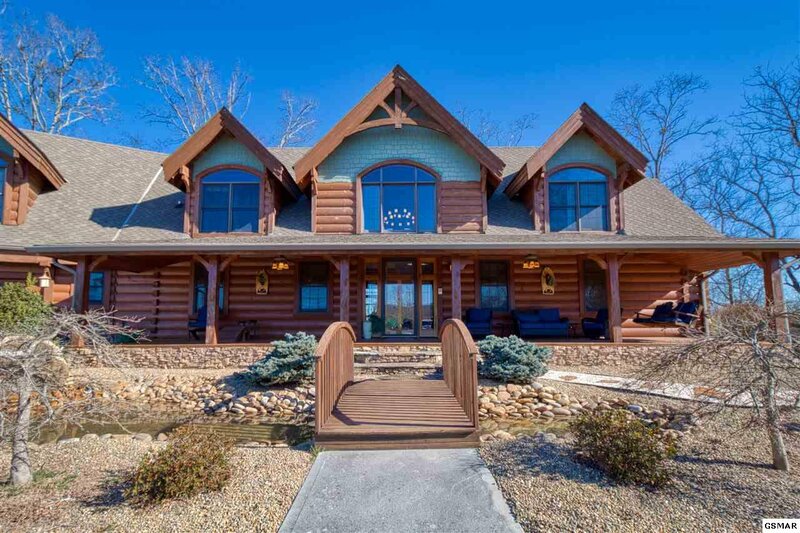 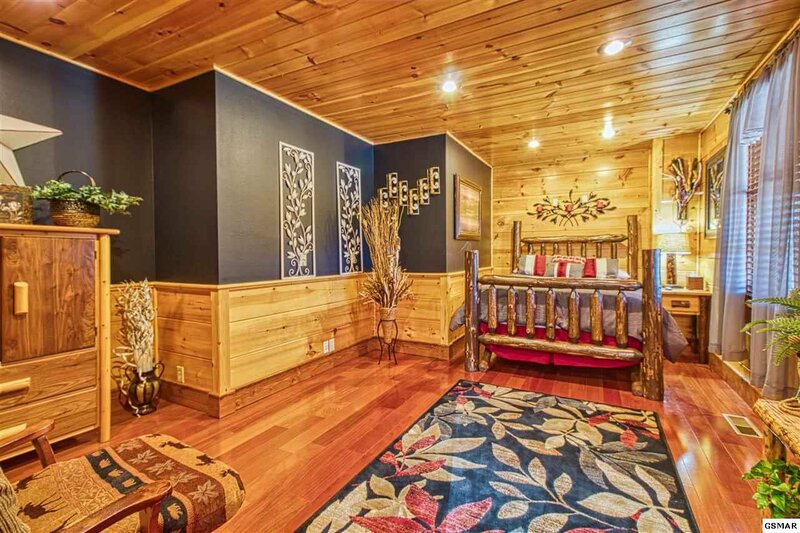 This stunning 6 bedroom 5 1/2 bath custom built cabin on 3 levels is perfect for family and entertaining. 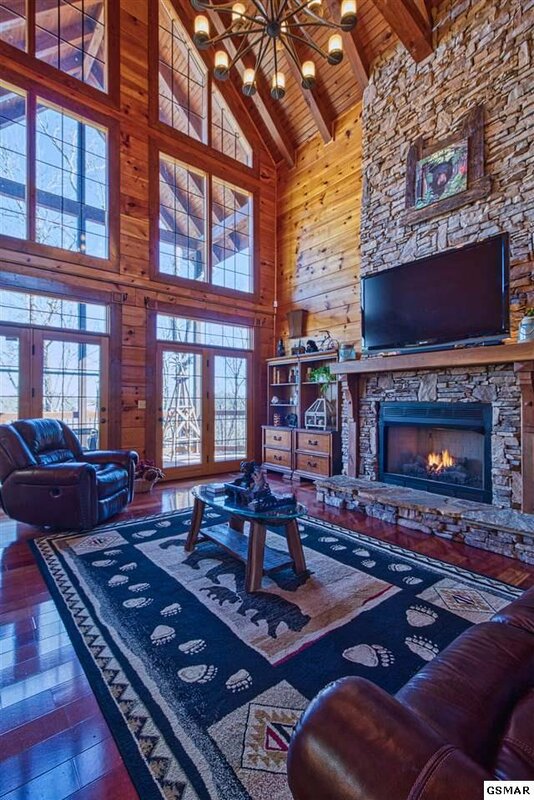 Beautiful hardwood floors compliment the 28 ft stacked stone fireplace in the great room. 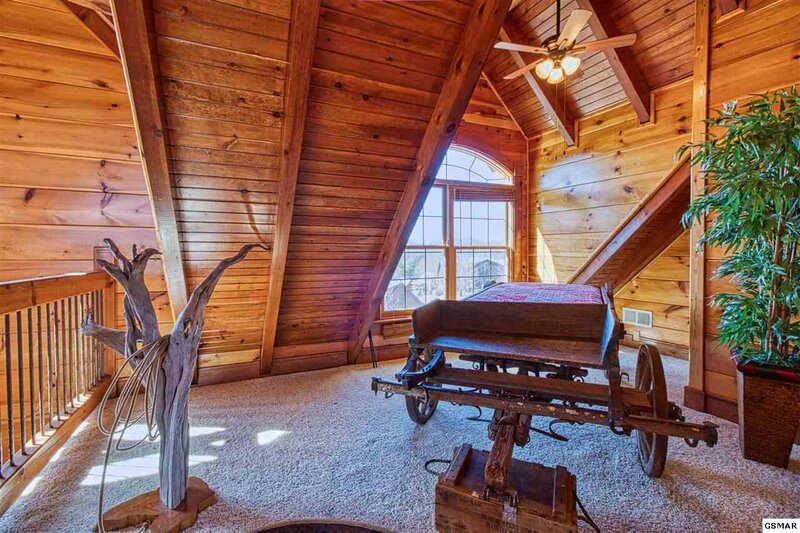 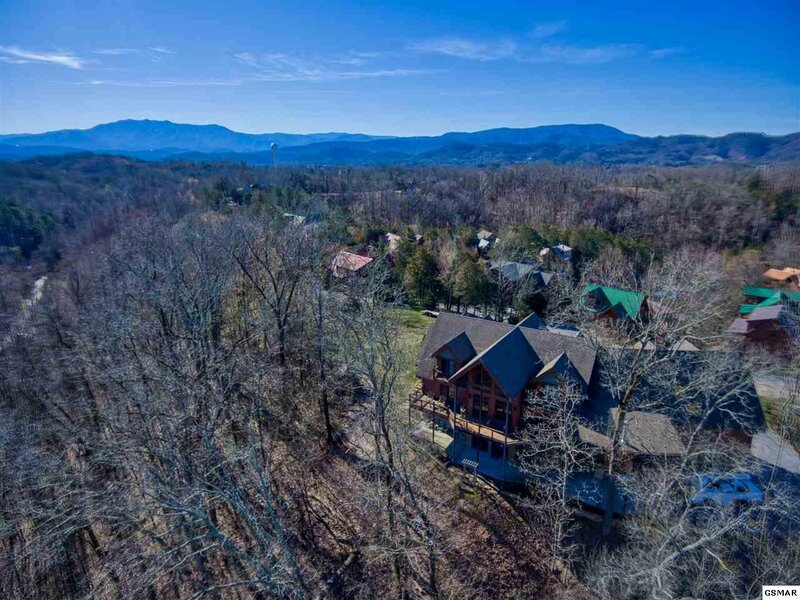 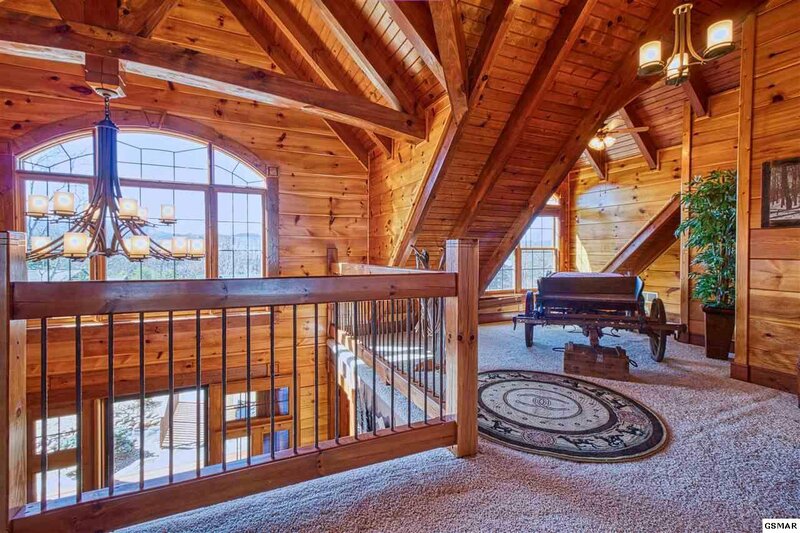 Over 6000+sq ft of living space for that enchanting mtn experience. 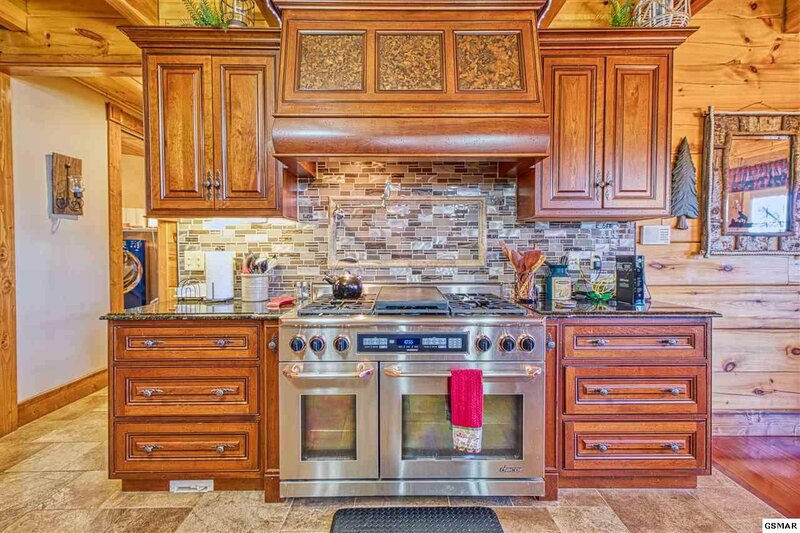 The kitchen features custom cabinets commercial grade stove, ice machine, warming tray and granite counter tops. 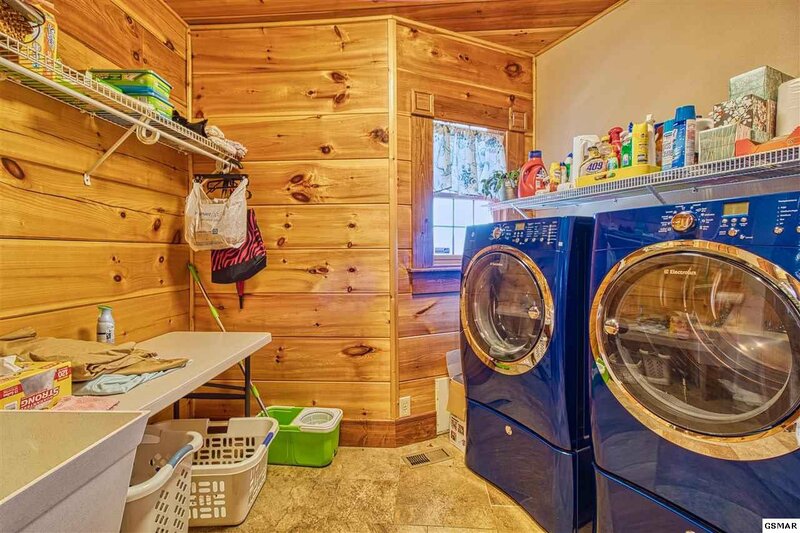 Large walkin pantry has additional refrigerator,separate laundry has extra storage. 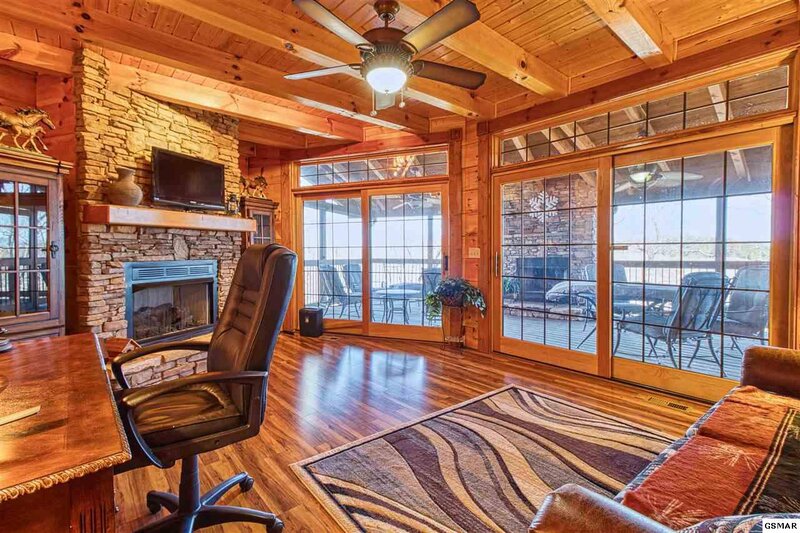 Office has fireplace as well as 4 others throughout cabin with wood/gas fireplace on screened porch. 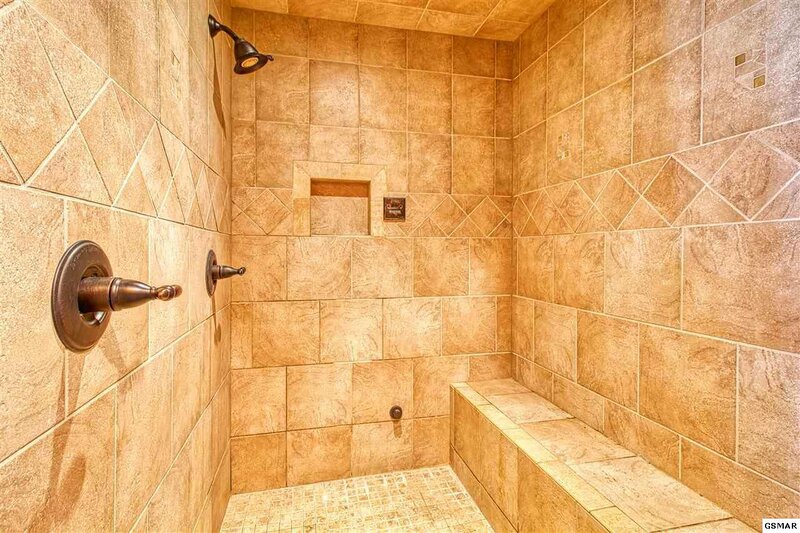 Bathrooms have tiled doubledhead showers, one also being a sauna. 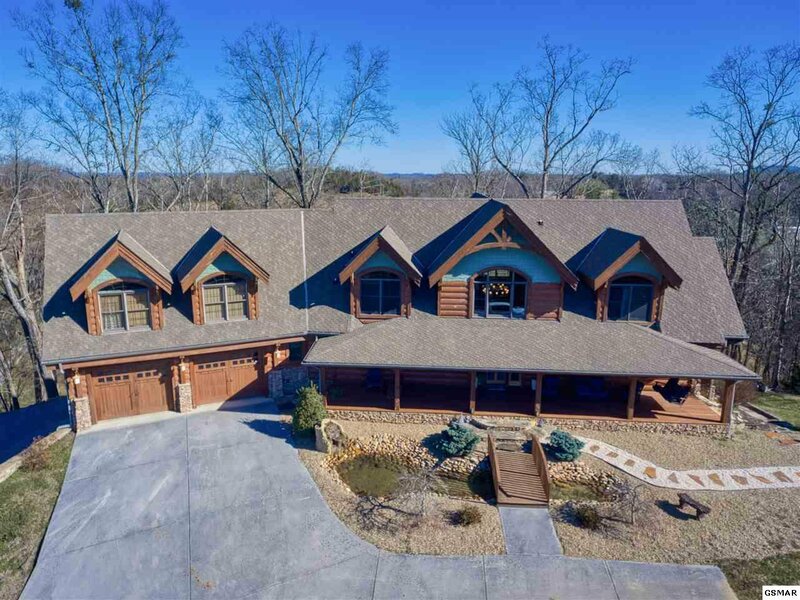 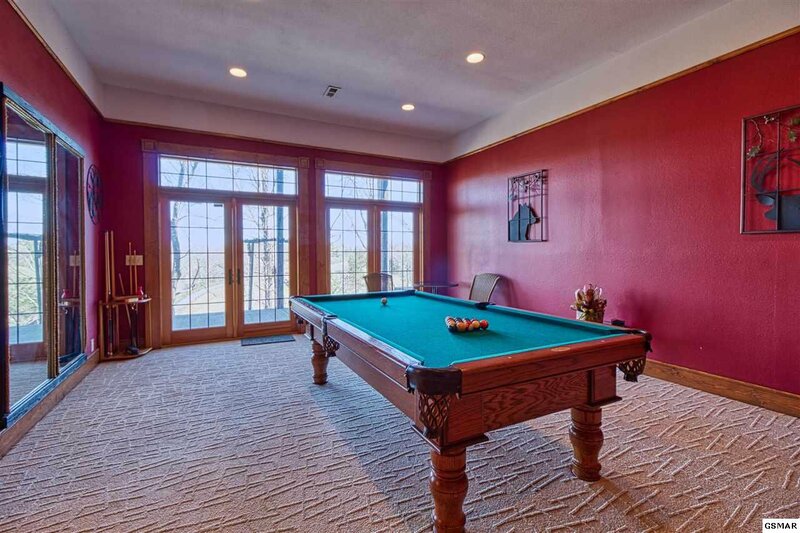 Spacious gameroom and separate theatre room for fun, also wine/tanning bed room with built in safe.Lots of walkin closets throughout the cabin. 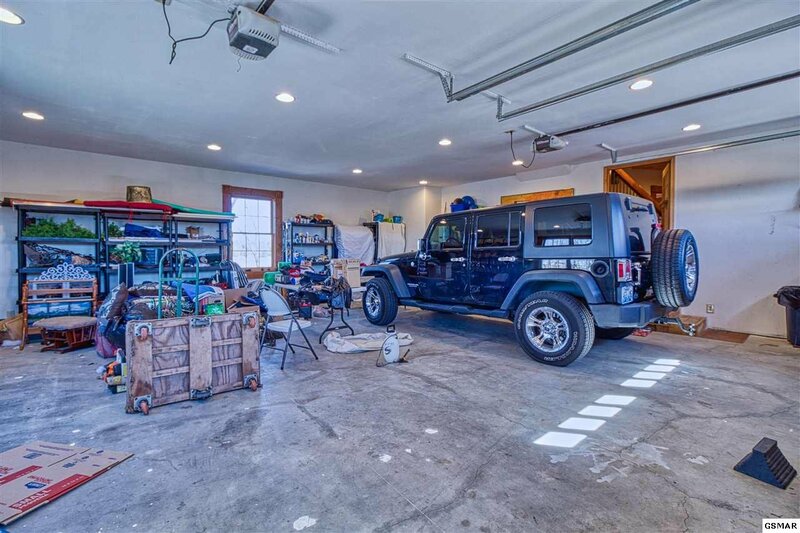 Oversized 2 car garage. 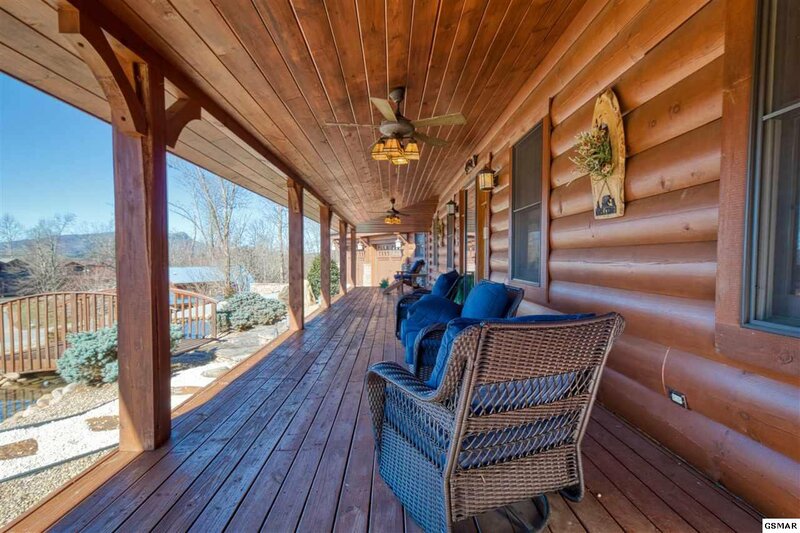 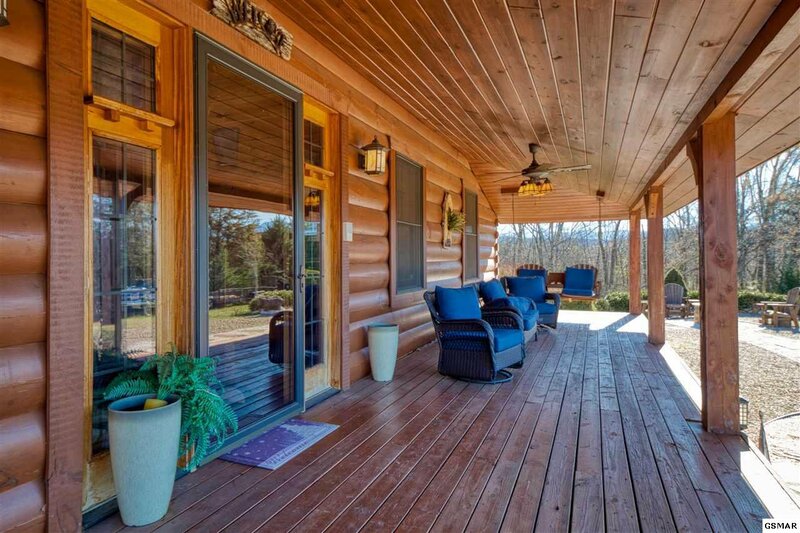 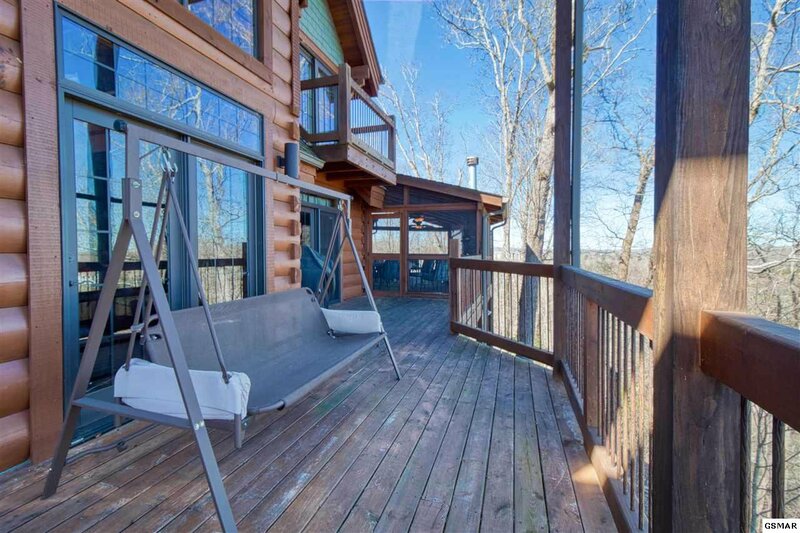 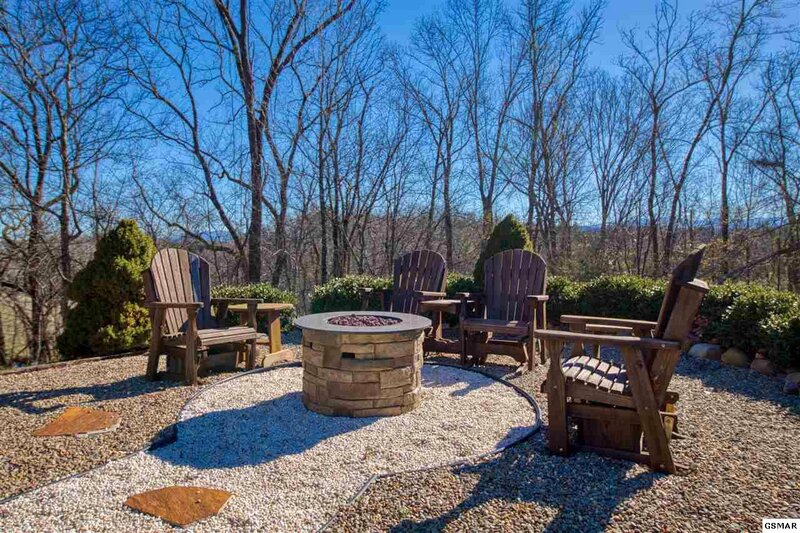 Exterior decks, covered porches and gas firepit area to enjoy the mtn views. 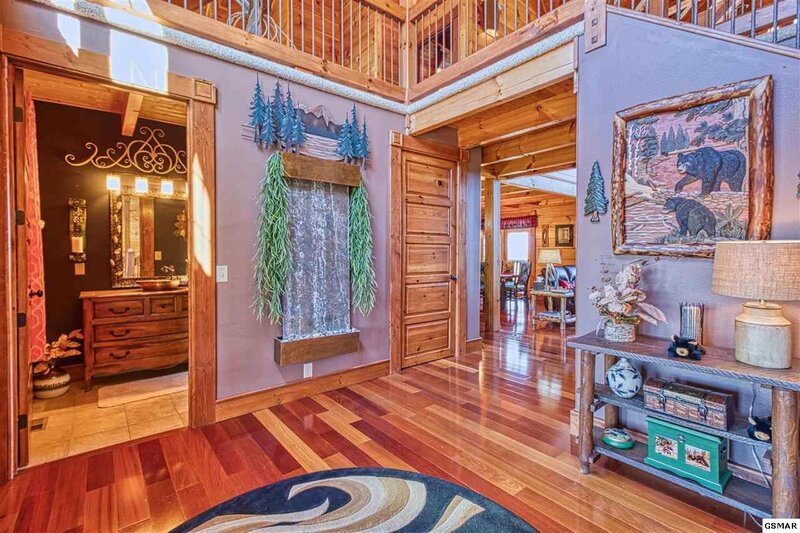 Must see to appreciate the intricate details this cabin offers. 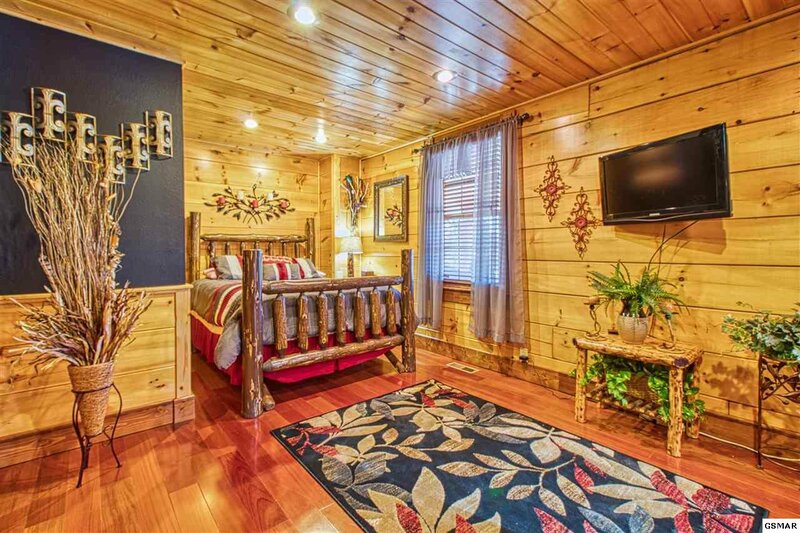 Being sold fully furnished. 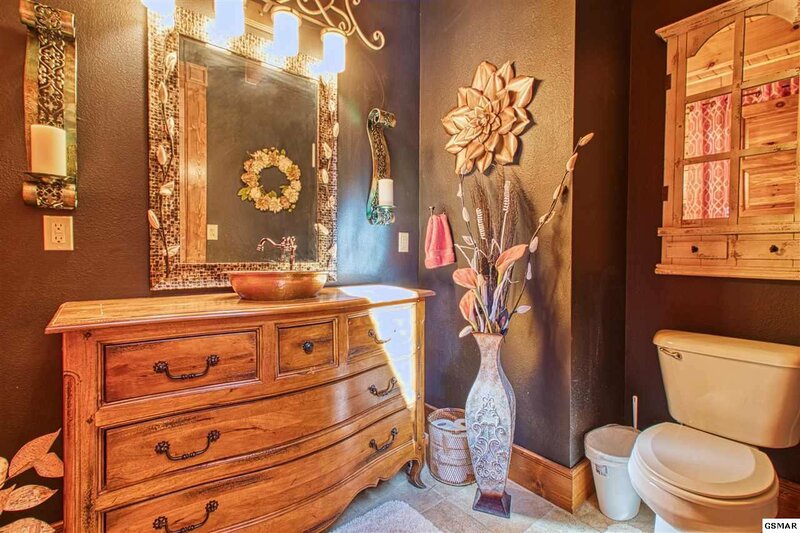 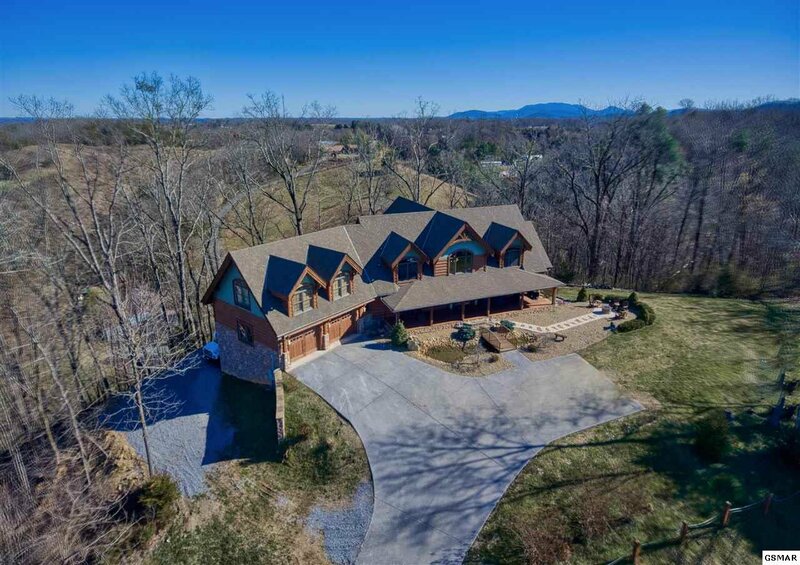 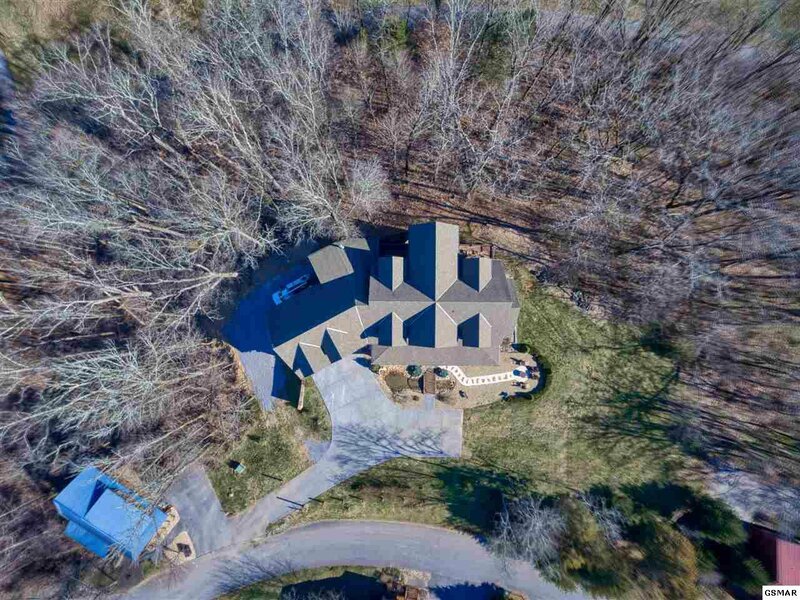 Listing courtesy of Tennessee Elite Realty.